We hope you have been inspired by our monthly Process Art Blog Hop to add a little bit of process art into your learning and play activities. 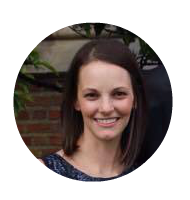 Hopefully you and your child have been enjoying the process of creating. This month's process art theme is Stamps. With some fresh new glitter paint Little Sis received for Christmas and recycled toothpaste caps, Little Sis and I created colorful Circle Art. 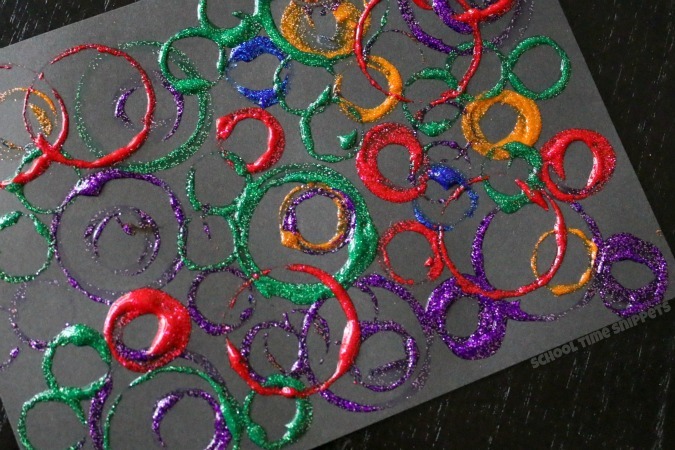 We made these fun and colorful glitter circles on black note cards . With some glitter pens, we'll turn them into Thank You notes! 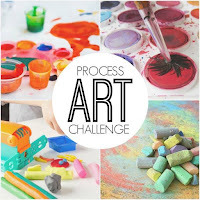 One thing I love about the process art activities we have done is that they are so simple. 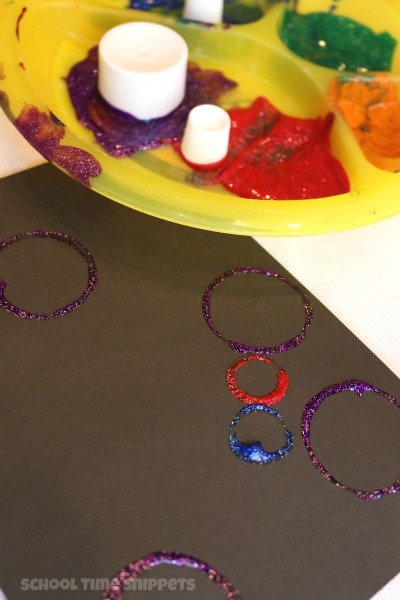 With your recycled toothpaste caps, dip each one into a different color of paint and stamp them onto the black paper. 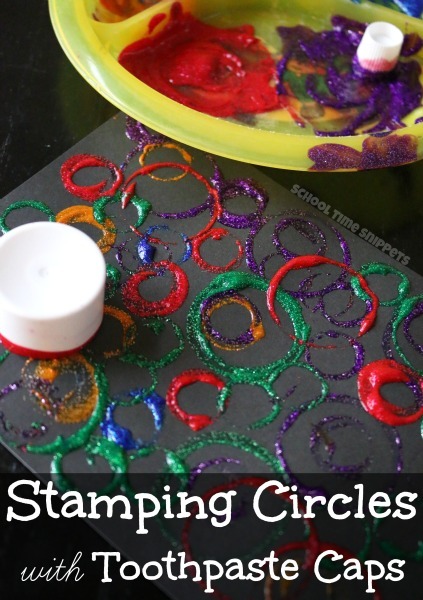 This activity also strengthens fine motor skills! Check out that Tripod Grasp below! 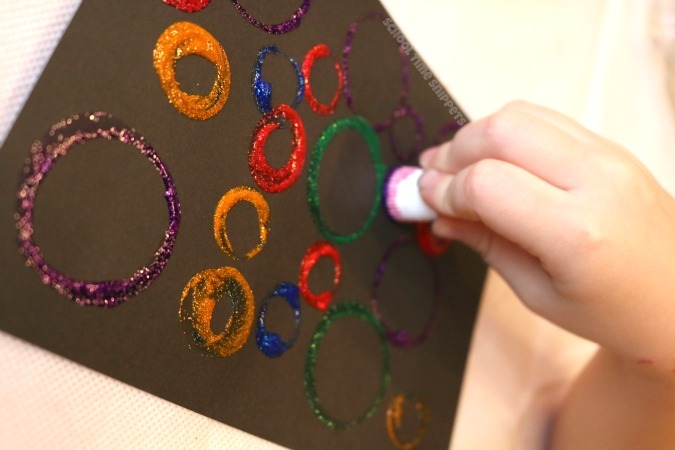 Little Sis and I had such a fun time creating this colorful piece of Circles Art! 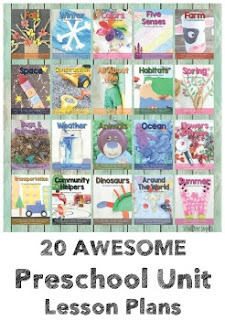 It was also a way to sneak in some other learning concepts such as big/ small, colors, vocabulary such as "overlapping," etc! However, I think my favorite part of this whole process art activity was getting to use glitter paint ! Ha!